The "Kulat Jelutong" (Lentinus sajur-caju) is a popular edible mushroom but increasingly difficult to see at the local tamu. 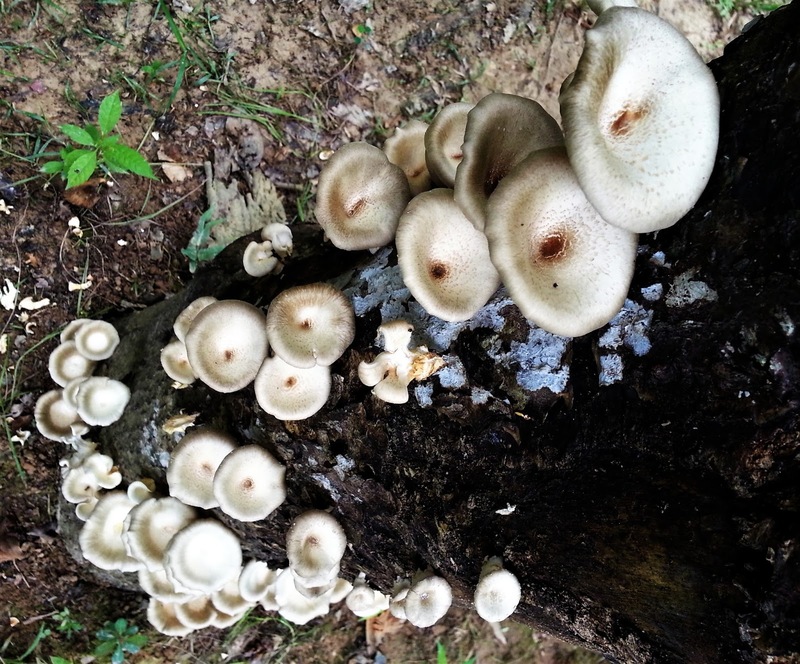 Other types of edible and non-edible mushrooms found in Bintulu can be seen by following this link...>>>http://kambatikpark.blogspot.my/search/label/Fungi . The Kampung Jepak fishing village is seen at the far background, with spectators watching on the Bintulu town side of the Kemena River. This year, the Malaysia Day celebration (national level) is held again in Bintulu. As a sideline attraction, power boat and long boat races were held for two days beginning 15th September. The race is held at the Kemena River with competitors coming as far as Brunei. The pictures above show a power boat race in action for 30 hp (horse power engine) tunnel boat category. 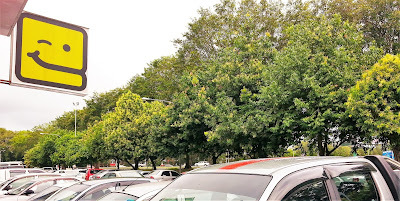 Medang Tija (Malay) or Wild Cinnamon at Assyakiriin Commercial Centre car parking area. This month of January the Wild Cinnamon trees (Cinnamomum iners) are seen flowering over many locations in Bintulu. 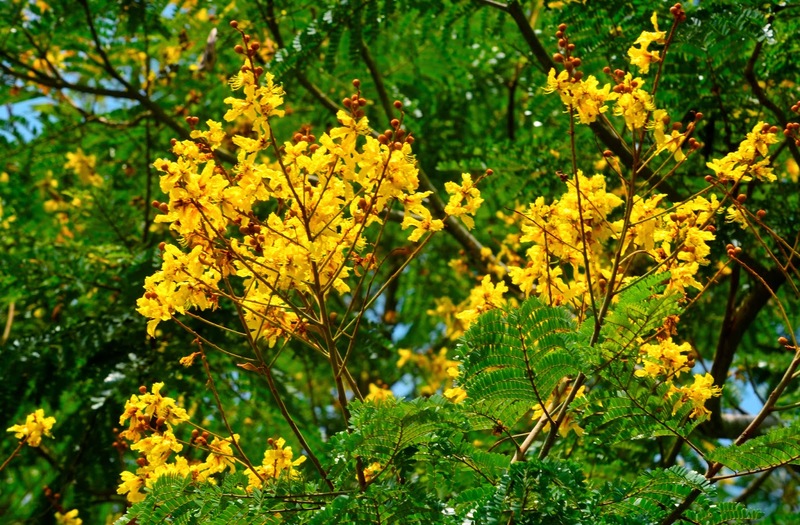 It is a medium sized tree that is attractive for its orange to reddish flushes. 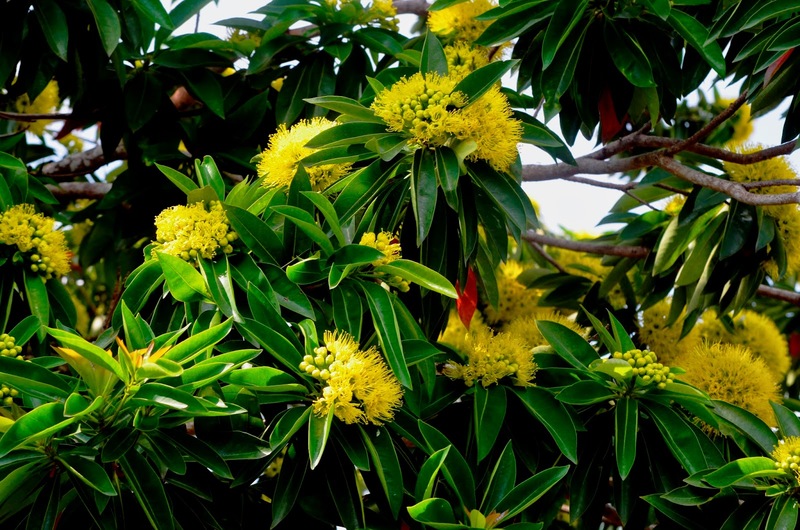 It is a hardy tree with a neat and compact form. It is a popular roadside tree in Bintulu since about 30 years ago and is also suitable for green spaces areas, car parking lots and even private homes that have a sizeable garden space. The flowers are very small and insignificant creamy white. They grow well in full sun and bears small berry fruits that are attractive to wildlife. 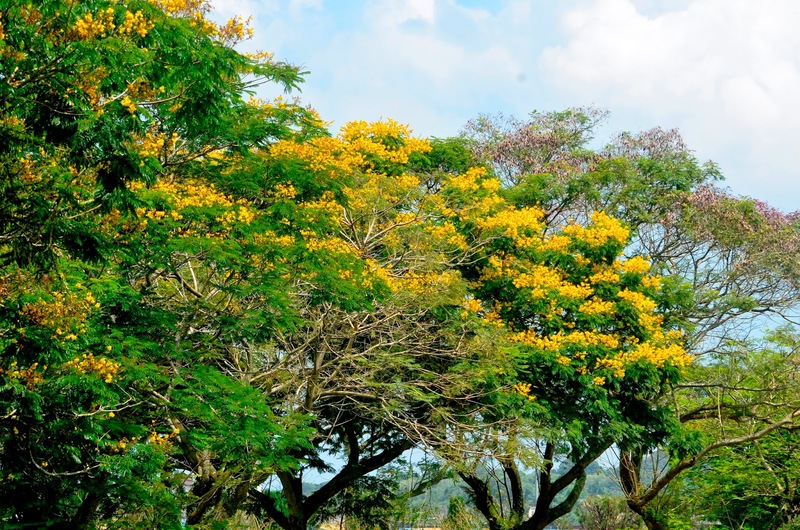 This April, the White Poui trees ( Tabebuia alba ) are giving out their best colours. 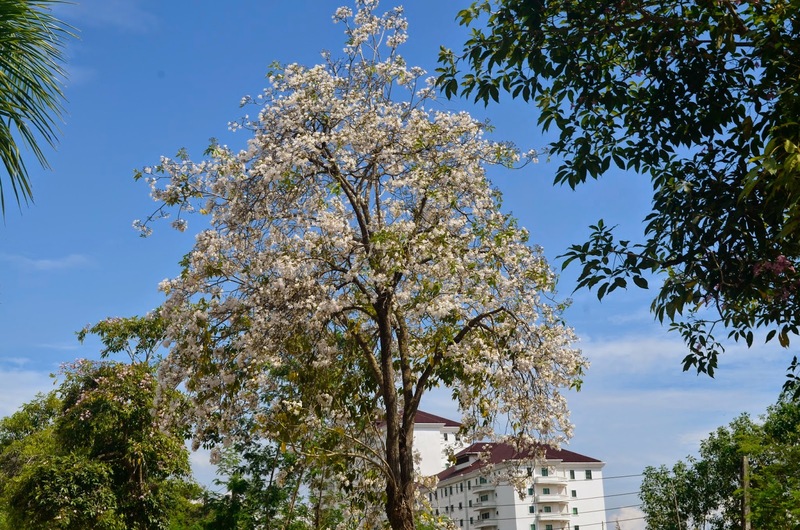 The very dry and hot drought season experienced in Bintulu at this month has induced lots of the Tabebuia alba trees or commonly called White Poui to flower profusely. 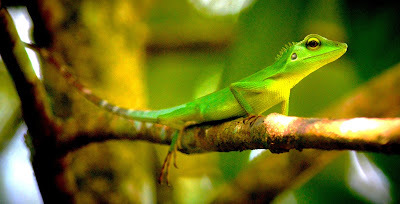 The above picture is taken at Tanjung Batu, along the Pantai Temasya Drive. This year (2015) the Yellow Flame started to flower profusely around Bintulu town. 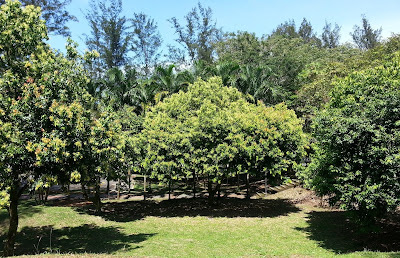 These trees were planted since the mid 80's in Bintulu. 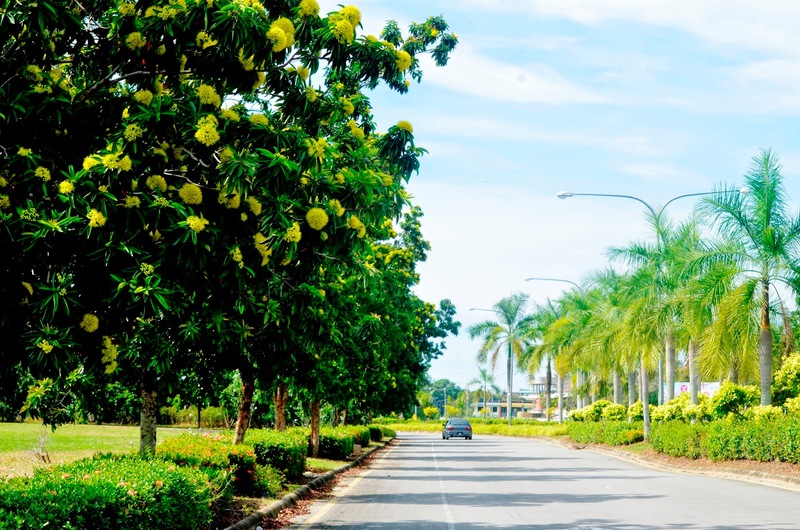 Majority were planted around the Dewan Suarah roads and the Persiaran Pantai Temasya or the Pantai Temasya Drive especially areas near to the Taman Tumbina. 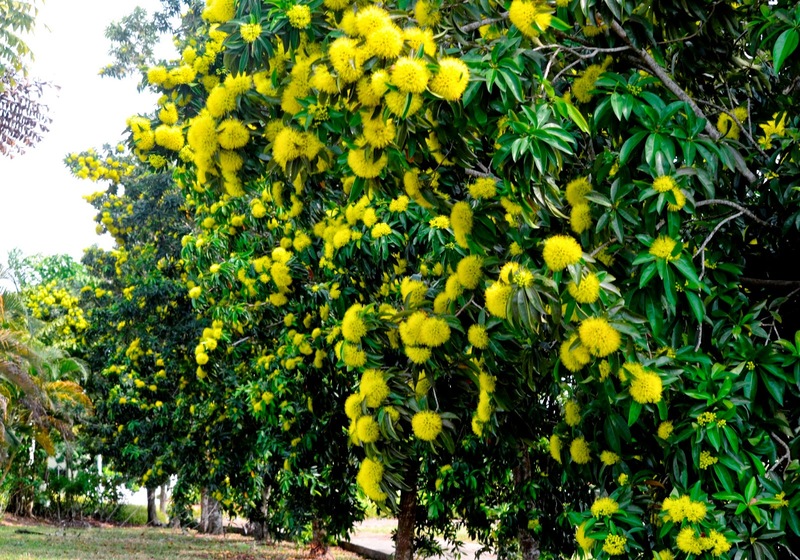 About 10 years ago the Golden Penda was introduced into the Bintulu landscape. Since then this medium-sized tree has been conspiciously added to many other areas of the Kidurong town as well. 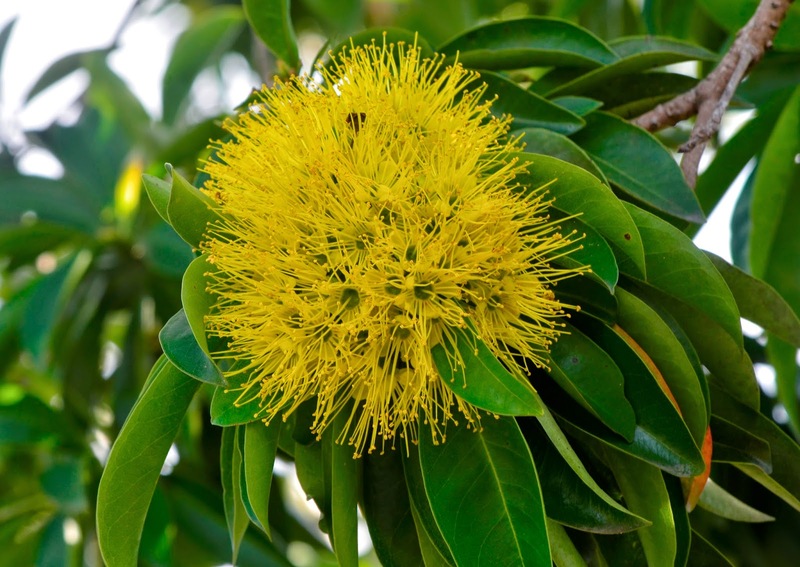 The Golden Penda or Xanthostemon chrysanthus belong the family Myrataceae or the Myrtle family. Another tree that is well used as a landscaping tree in Bintulu belonging to the same family is the Eugenia oleina. 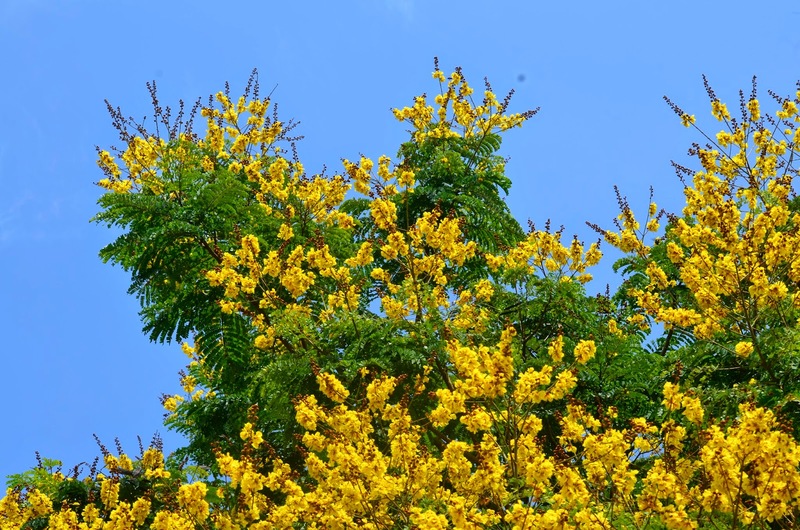 The masses of showy golden flowers are produced intermittently. Here are more pictures taken in late December 2014. In January 2015 these same trees still continue to exhibit flowering.